The Flower Agenda on Funnyhowflowersdothat.co.uk will focus on the elegant lily from week 23 to week 26. Your customers will be able to read all about this multifaceted flower that offers an abundance of choice in terms of colour, shape and size. Will you help your customers to enjoy the lily's many arranging possibilities over the coming weeks? What is the Flower Agenda? The Flower Agenda 2015 features fifteen flowers sorted by seasonal availability. The agenda tells consumers the story of the flower and offers them inspiration and beautiful images. The agenda appears on Funnyhowflowersdothat.co.uk and the content is formatted in a way that it can be easily shared via social media. 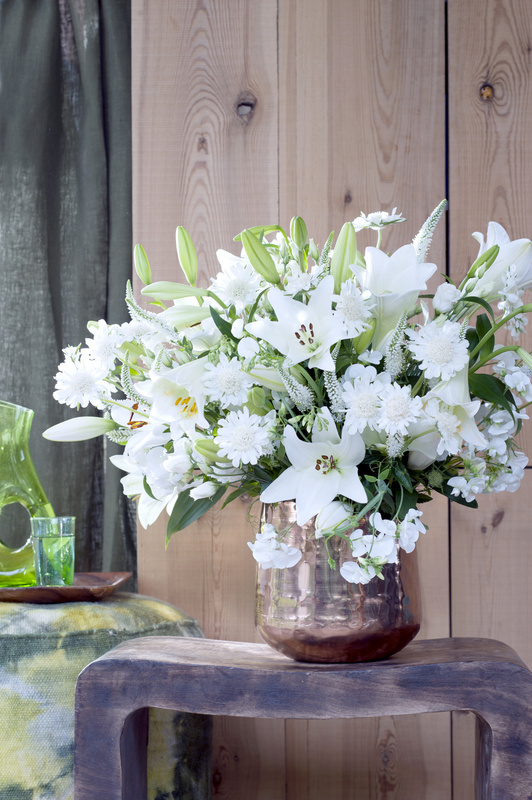 Lilies are not only diverse in terms of colour, shape and size, but also in their place of origin. In the wild you can find them in Korea, Japan and parts of Siberia, but also close to the Equator in India. In Europe the lily is native to the Caucasus, the Balkans, Greece, Poland, the Alps and the Pyrenees. They can also be found in the wild in most American states, with the exception of the south-west USA. So the lily truly is a world traveller! You have lots of options with lilies. There's an abundance of choice in terms of colour, shape and size. 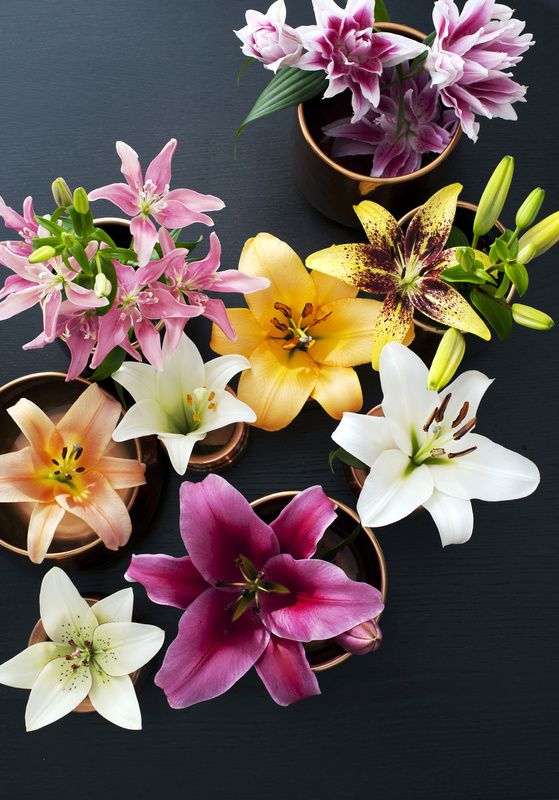 So you can get lilies in serene white and peaceful pink, but also eye-catching red, yellow, purple and orange. They also come with stripes or spots. The flowers can have a diameter from 7 to as much as 25 centimetres. 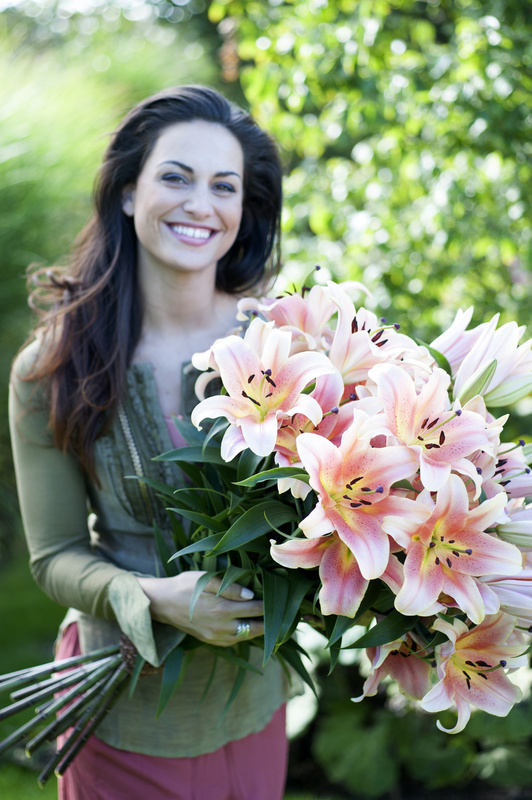 Give your customers the following tips so that they can get optimum enjoyment from their lilies. • Trim the stems diagonally with a sharp knife. • Remove the leaves which will be in the water. • Place the lilies in water with cut flower food. • Do not place the vase in direct sunlight, in a draught or next to the fruit bowl. • Any pollen stains can be cleaned by carefully removing them with a piece of sellotape. At this time of year lilies combine beautifully with Lathyrus, Scabiosa, Lisianthus and Veronica. They look fantastic in a robust copper-look vase. 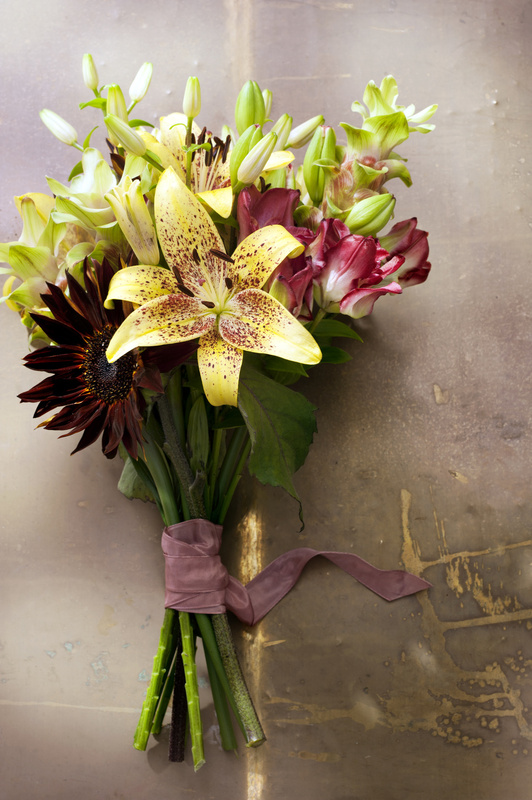 Or surprise your customer with the simplicity of a bouquet tied with a ribbon, in which you might combine lilies with Curcuma and sunflowers. 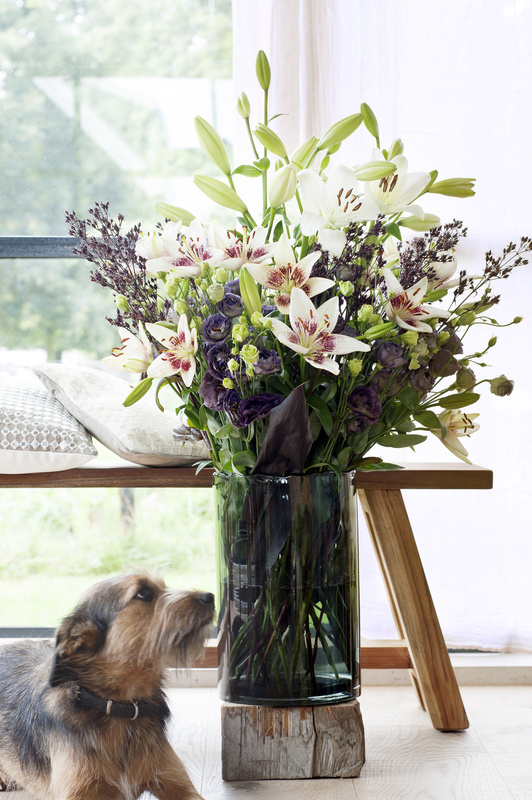 The stylish bouquet in the vase brings together lilies with Lisianthus and penstemons. So there's plenty of choice for you and your customers! • Femininity. Greek and Roman brides were given a crown of lilies in the hope of a pure and fruitful life. • Love. If you received a sweetly scented lily in the Victorian era you knew for certain: 'This is my lover'. • Transience. 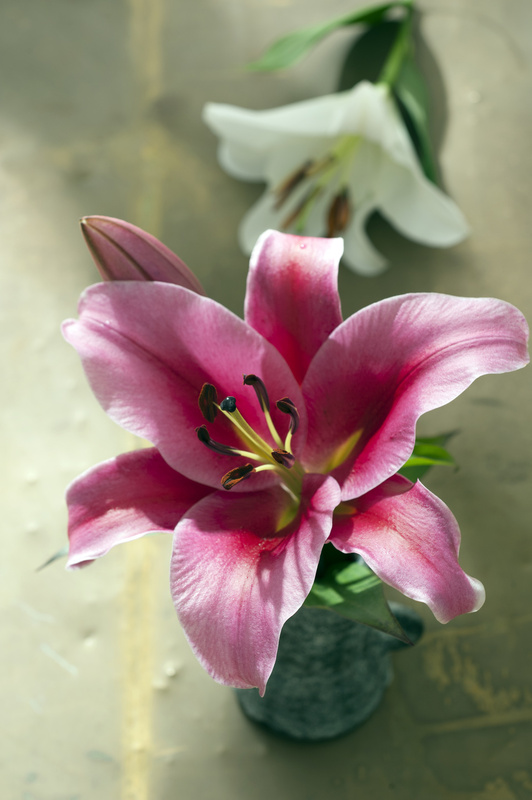 The serene and pure appearance of the lily expresses emotions at times of loss and mourning.